Speed – You will receive the payment module in less than 24 hours and the installation process takes under an hour. Price – Our prices are public and lower than our competitors’, no annoying price queries nor waiting. You get what you see. Simplicity – The installation of the module takes a couple of minutes when you have a contract. Satisfied customers – Your life will be carefree, as modules of Aktsiamaailm LLC come with a warranty and technical support. It means that in the case of errors we provide the necessary help. 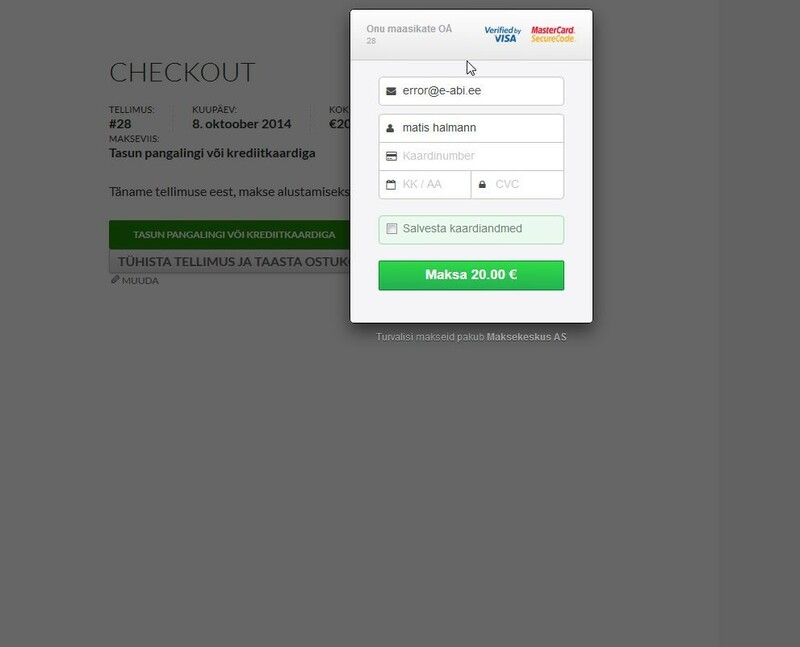 Maksekeskus.ee module with new Billing API function, can be installed right on the shopping cart page of your e-shop together with all bank links and a credit payment form. 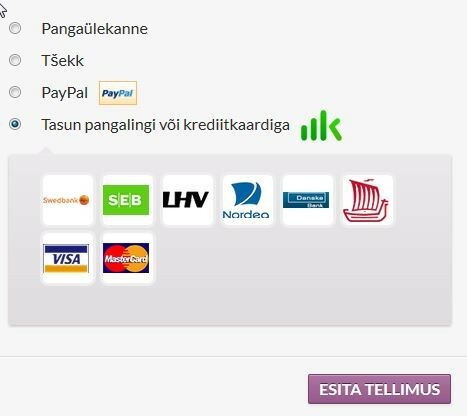 The module allows clients to pay for an order through the most popular bank payment modules in Estonia, Latvia, Lithuania and Finland. The module will not redirect the client to the payment centre site, but straight to their bank. Also allows one to pay with a credit card for the order and in the case of most countries in a way that the client does not have to leave the page. The module now has 3d-secure support, that ensures reliability and security of the environment of the online store. 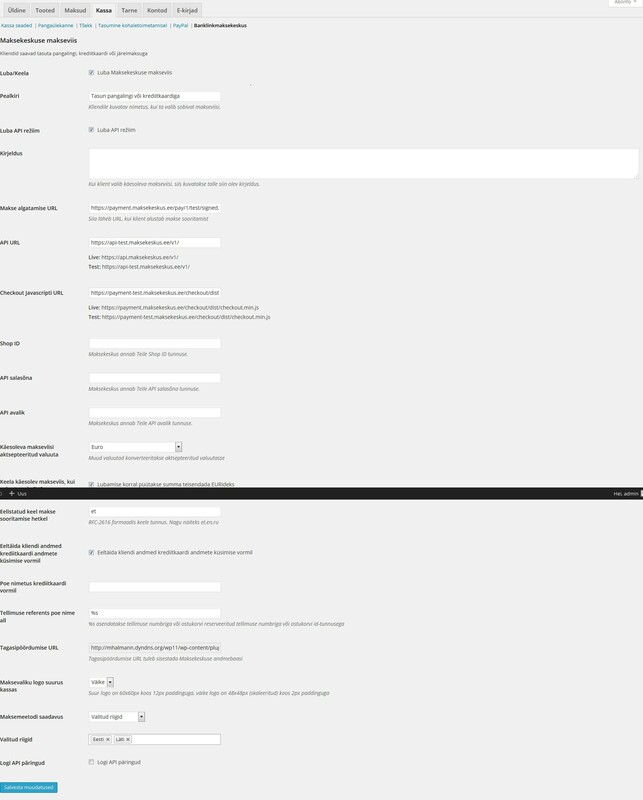 The payment method chosen by the client is now automatically in accordance with the language used in the online store. (If the chosen payment method does not support the language used in the online store, the system chooses English). The Merchant can refund the money to the client without leaving WordPress WooCommerce administration panel. The current module implies a contractual relationship with Maksekeskus AS. 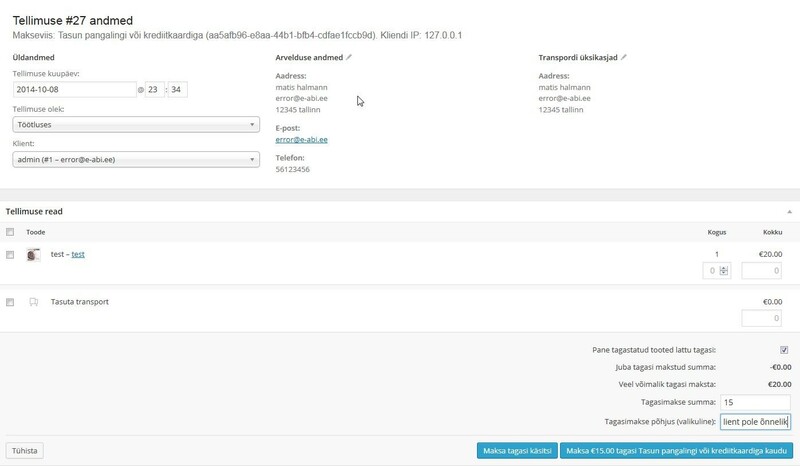 Before buying the module, please make sure that you can can excute the contract with Maksekeskus AS.